The competition commences on Friday 1 December 2017 after 9.00am AEDT and concludes on Monday 13th December at 11.59PM AEDT. 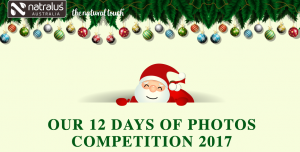 Take a photo representing the theme of the day and then upload either to Facebook & Instagram and tag us in the photo #NatralusXmas. One entry per person per day. Entries received after the close of the competition, will be ineligible. The competition is open to Australian residents only, 16 years and older. Persons under the age of 18 should seek parent/guardian permission to enter. 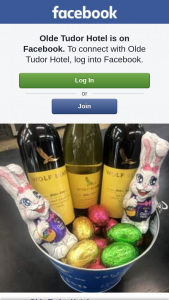 Employees or a member of the immediate family of an employee of Natralus Australia and or sponsor or affiliate association with the competition are not eligible for entry. Entries can only be made in an individual’s own name, and no entry can be made for or on behalf of any other person. By submitting an entry to this competition, the entrant acknowledges and agrees that it has read, understood and agrees to be bound by these terms and conditions of entry. Natralus Australia reserves the right to request information to verify the validity of entries including proof of identity and proof of residency. Verification is at the discretion of Natralus Australia, whose decision is final. Natralus Australia reserves the right to disqualify any individual who is involved in any way in interfering or tampering with the conduct of this promotion. This competition is a game of skill. Chance plays no part in determining the winners. All entries will be judged individually on their merits based on originality and creativity. The best entries as determined by the judges in their sole and absolute discretion, will win a prize. In the case of the 13th prize, all photo entrants will be submitted into a random draw. There will be a total of thirteen (13) prize winners. Judging for the previous days entries will take place at 10.30am (AEST) on the days listed in table below by Natralus Australia employees, at 36-38 Donegal Road, Lonsdale SA 5160. The judges’ decision is final and no correspondence will be entered in to. Prizes are not redeemable for cash or otherwise transferable. Prize winners will be notified via Facebook & Instagram as per the table. Prize winners need to provide their residential address to receive their prize. Prizes will be sent to winners via post to the address provided at the time of notification of winning. Natralus Australia shall not be liable or responsible to provide any replacement or compensation if the prize is lost or delayed for any reason, or is not received by the winner due to incorrect or imprecise delivery details provided by an entrant. In the event of circumstances beyond its control, Natralus Australia reserves the right to substitute the Prize at its discretion. Following submission, all entries become and remain the property of Natralus Australia. Natralus Australia has the right to use the entries in any manner it determines in its sole discretion, and to authorise other parties to do so, and without limitation, entries may be reproduced via Natralus Australia’s website, Facebook and Instagram pages at the sole and absolute discretion of Natralus Australia. Entry into the competition constitutes consent to any such use without attribution or payment of any fee or consideration to an entrant. All personal details supplied will not be shared with any outside parties, including Facebook, unless Natralus Australia is required by law to do so. Natralus Australia reserves the right to use your supplied email for future marketing initiatives. competition, or downloading any materials for the promotion or use of any prize. Natralus Australia reserves the right to alter these Terms and Conditions, withdraw any prize or cancel all or part of the promotion in its absolute discretion without notice subject to state regulation. The competition is organised and conducted by Natralus Australia Pty Ltd, ABN 78 224 395 409, 36-38 Donegal Road, Lonsdale SA 5160. Phone (08) 8382 3000.